Thank you for helping us win $15,000 for our community with the Thank A Retailer campaign. See our video - Click here! M&R Feeds is hosting two feeder meeting evenings with Taylor Laroche, an Equine Nutrition Consultant for Purina. The meeting focus is on feeding the senior horse and Diamond V (new ingredients in Purina products.) Meetings are free with raffle prizes to be won and refreshments available. April 16, 2019: M&R Feeds in Shawville (388 Main Street, Shawville). 7:00pm. Come out to the Pembroke location for the 2019 Buy, Sell and Trade Day for Birds and Small Animals. 8:30am-12:30pm on Saturday, May 4th. Everyone is welcome. For questions and details, call 613-732-2843. M&R Feeds is proud to be part of a local initiative to help farmers grow food to help end world hunger. M&R Feeds has often said "Farmers Feed The World." 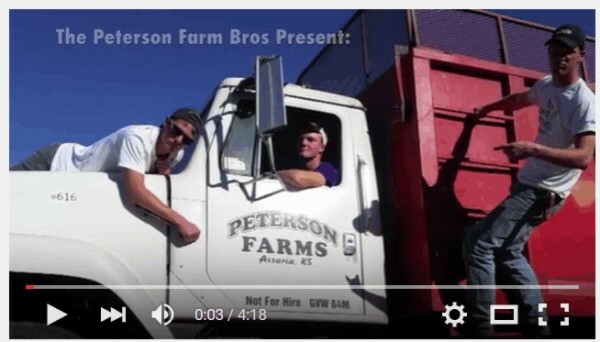 Now the Peterson Farm Bros. have released a video to tell the story. Click below to see the video. M&R Feeds is proud to support the Farm & Food Care Foundation as a Silver partner. This partnership provides for the publishing of The Real Dirt on Farming magazine (see below). 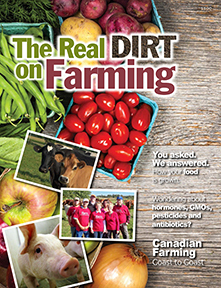 This magazine provides for important information on farms and food production in Canada. Copies of the magazine are available free of charge from M&R Feeds locations in Micksburg, Pembroke and Shawville. Online versions are also available. Click on the logo to the left to see our Facebook page. Like us and you'll be notified of information on events and news happening at our stores.